Tony Shepherd’s Replace Your Salary Review: Can It Help You? Tony Shepherd’s Replace Your Salary Review: Can it Help You Replace Your Salary? 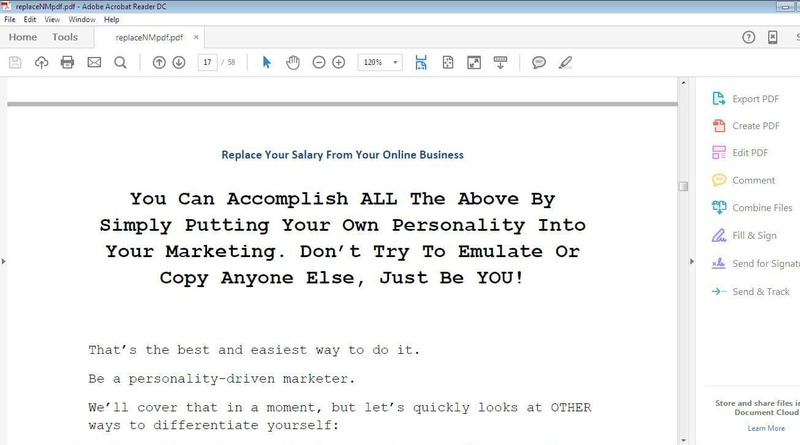 Tony Shepherd says his Internet Marketing training course named Replace Your Salary will help you become financially independent enough to comfortably let go of your nine-to-five job and free more time for the personal activities you enjoy. 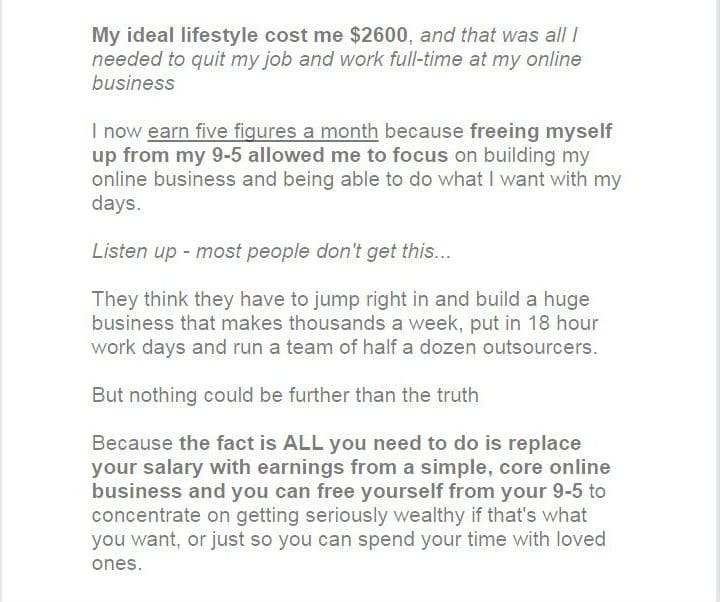 He says you don’t need to earn six figures from your Internet Marketing business right out of the gate and that all you need is enough money to help you live the kind of life you’d like to live without the demands of a nine-to-five job, which he’s going to show you how to achieve. 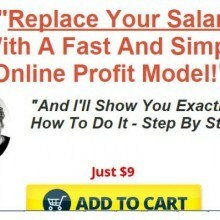 He says he currently uses the same methods to earn five figures on the Internet. 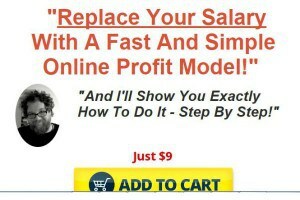 I’m not an affiliate of Tony Shepherd’s Replace Your Salary. I’m only reviewing it without any bias to provide insider information to my readers, which will enable them to decide on whether or not it’s for them. If you don’t have time to go through the entire review, please read this condensed version. 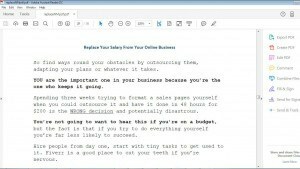 Tony Shepherd’s Replace Your Salary is a great read for an eBook, but will probably not get you to your goal of replacing your salary as quickly as you might be imagining. This is because Tony Shepherd didn’t make provisions for the majority of his readers who’re the ones that are running low on funds to be able to start their Internet-based businesses through the pathway of least expense. 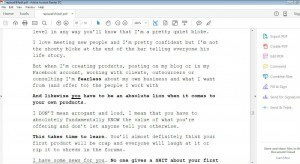 Instead, he takes an approach that has been the reason for many people’s inabilities to start an Internet-based business as I elaborately explained within the main body of the review below. After I checked out, I expected a barrage of upsells and down sells, but I was surprised, there was none. Not even a single sales pitch of any kind. 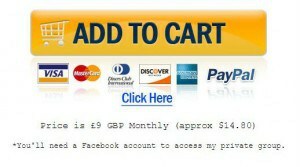 I can’t remember the last time I bought an Internet Marketing product without upsells and down sells. Tony Shepherd got off on the right foot by not trying to greedily cram his other Internet Marketing products down the throat of his customers as many other internet marketers would have typically done. Right after that great thumbs up, I ran into a huge thumbs down. You’ll have to pay monthly fees of over $14 to join his special insider support group. This is the first time I’ve run into an internet marketer who sells their special Facebook group membership as a paid product that requires recurrent monthly dues. This is perhaps his way of making up for the absence of upsells and down sells. The 58-page eBook, though an interesting read, is nothing but theory. 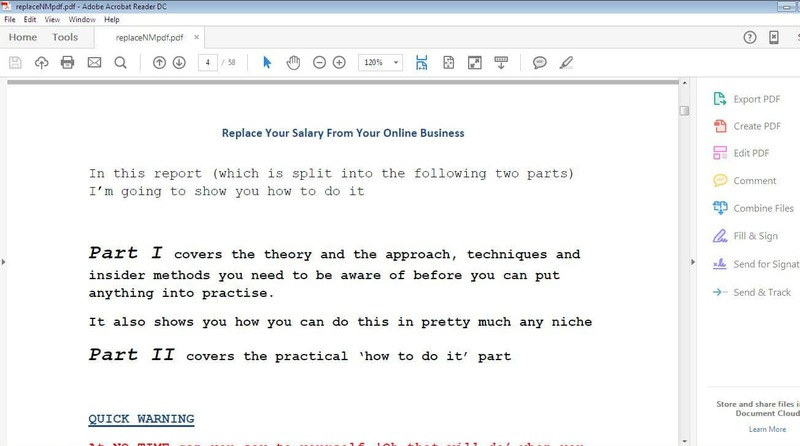 Tony Shepherd dedicated 41 pages of his 58-page eBook to part I of the Replace Your Salary PDF, which he admitted was strictly theory. 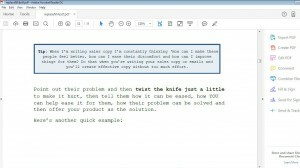 In all fairness, I’ve got to admit he did a great job writing the eBook in good English, with an interesting diction and in giving some very useful Internet Marketing advice for stark newbies who’re looking to get their Internet Marketing businesses off the ground to benefit from. 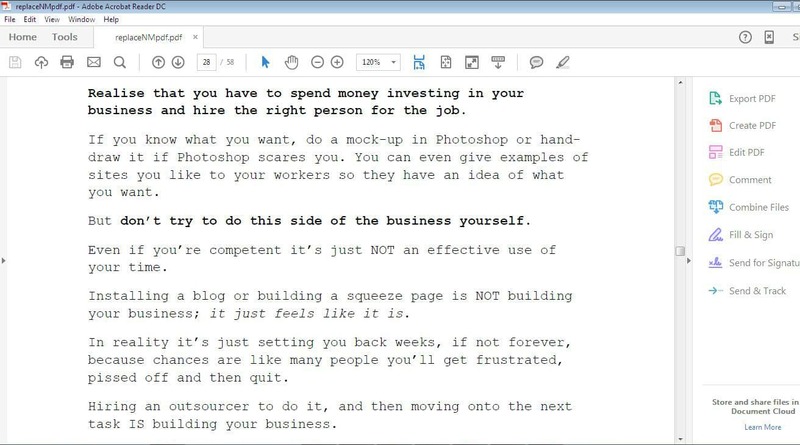 His motivational messages within the Replace Your Salary PDF are also something his readers will find very informative and useful. Plus he presented all that with some bit of humor, which lent the Replace Your Salary eBook something of an engaging quality. But to mostly theorize about a subject that’s entirely driven by practical actions such as Internet Marketing is inexcusable. Tony Shepherd strongly impressed it into his Replace Your Salary eBook that he didn’t believe in the DIY (Do It Yourself) approach to things in the field of Internet Marketing because he believed a lot of upstarting Internet entrepreneurs meet their defeat trying not to spend money outsourcing the things they don’t know how to handle. 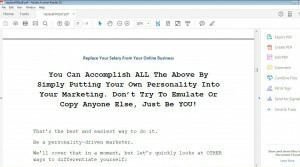 As true as that might be to some extent, folks typically buy training like this to furnish themselves with some of the practical skills they need to be able to float their Internet-based businesses with minimal outsourcing owing to the problem of meager startup costs that have been known to stall the progress of many aspiring internet marketers. 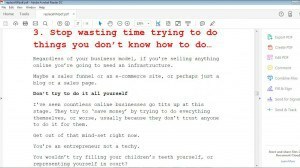 Unfortunately, Tony Shepherd thought it wasn’t necessary to include some hands-on demonstrations of how to do some of the most basic things in getting an Internet-based business up and running in his Replace Your Salary training. Instead, he was of the opinion that up starting Internet entrepreneurs depend on outsourcing heavily, which in my opinion can very easily spell the end of the aspirations of those who’re running on a budget. Folks are looking to start Internet Marketing businesses because they’re short on funds and are looking to improve their finances among other reasons, right? So, chances are some of such folks won’t have an adequate budget for outsourcing from the outset. 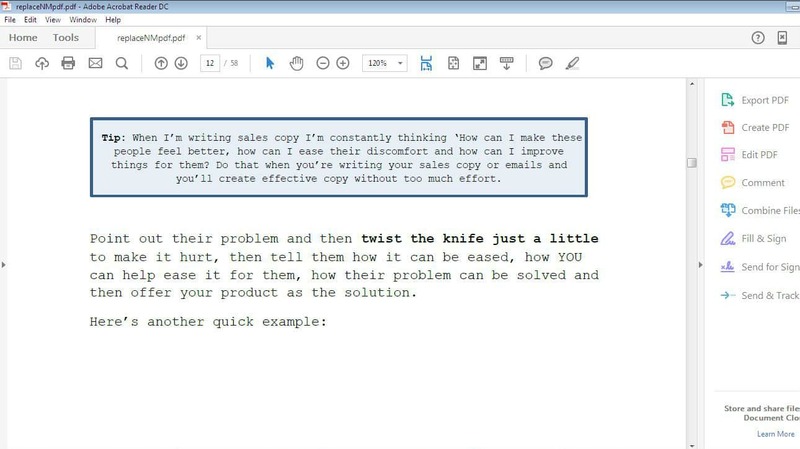 The very essence of products like this should be to create training that will help folks who’re short on funds to be able to do certain things themselves to cut the cost of outsourcing or at the very least, point them to free resources that will help them achieve that, and then also make the alternative of outsourcing available to those who can afford it, and not try to shove everyone into the outsourcing path. 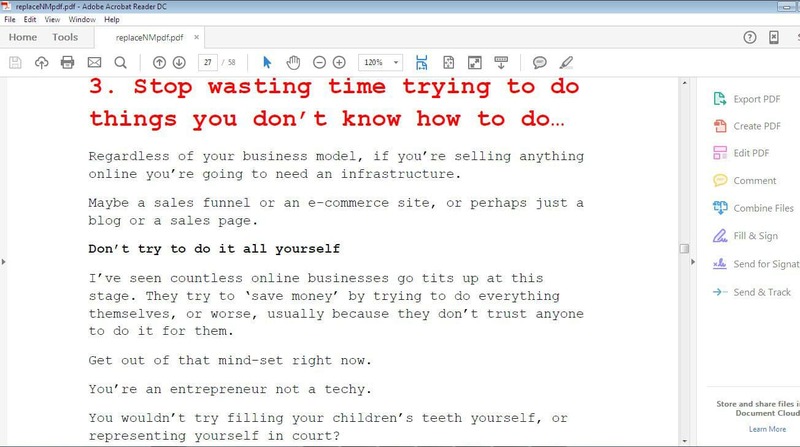 Therefore, I think it would have been great if Tony Shepherd had provided some practical demonstrations on how to do some of the simpler things involved in starting an online business rather than advocating the all-importance of outsourcing, which many can’t afford. 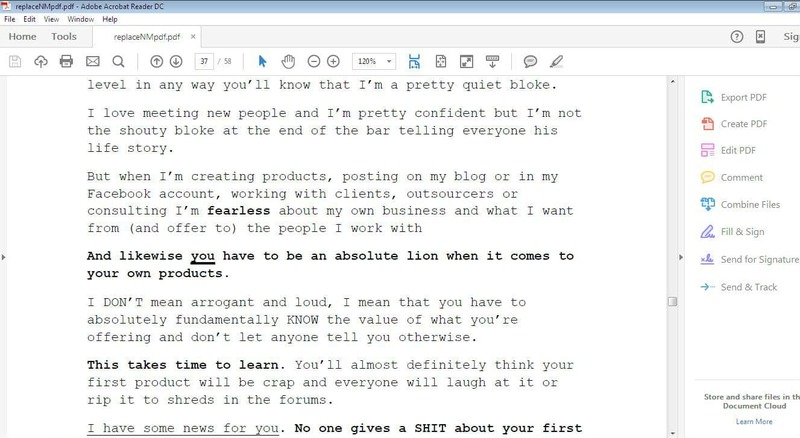 Furthermore, the funny thing is he seemed to have a stance against outsourcing on his sales page. On parts of that sales page, he created an impression outsourcing wasn’t the beginner internet marketer’s thing because they’ll need to put in some work themselves “because the internet marketing fairies won’t do it” for them. He seemed to be saying he believed in little beginnings, which would involve the least money-demanding approaches, one of which is not outsourcing. Yet, he gets right into his Replace Your Salary training PDF and declares the exact opposite. That’s quite misleading. 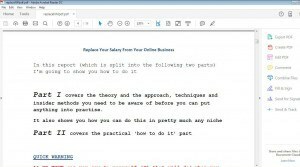 Tony Shepherd divided his Replace Your Salary training into two parts namely part I and Part II, which were to cover the theory and practical aspects of the training. But guess what. Part I was all theory as he said from start to finish. But Part II, was that also practical from start to finish as he said? Sadly, not. It was as much theory as the content on Part I. Furthermore, when I read that he divided the Replace Your Salary training into two parts with one part covering theory and the other covering practical, I expected to find actionable tasks or assignments at the end of each practical lesson to aid the trainees take practical actions. Sadly, that didn’t exist either. 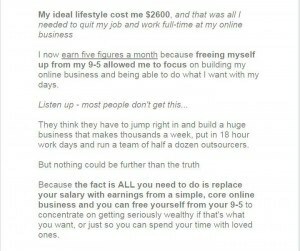 What that means is that a newbie, aspiring internet marketer could go through Tony Shepherd’s Replace Your Salary training completely and still not have anything to show for it. 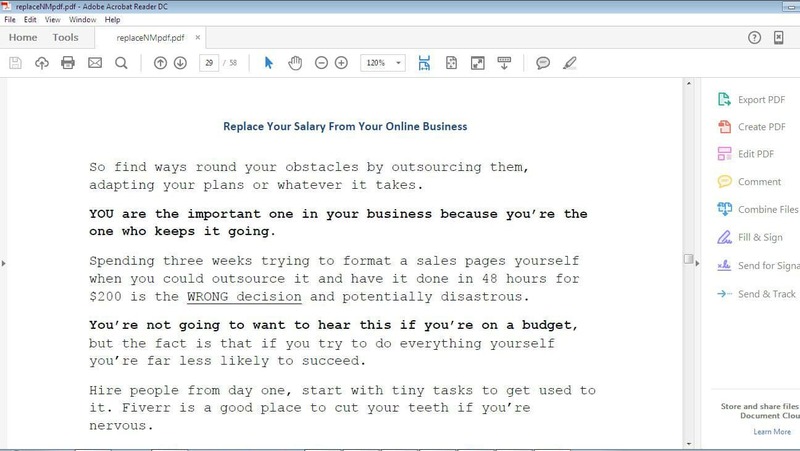 Tony Shepherd’s Replace Your Salary eBook is a great read but wasn’t exactly written practically to get its readers’ Internet-based businesses off the ground. 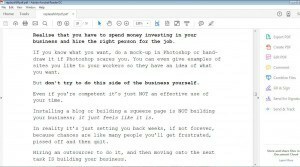 Tony’s approach requires some good amount of money to invest on freelancers, which some beginner internet marketers who’re looking to improve their finances online might not have. His training doesn’t hold the hands of his trainees through the processes and doesn’t call them to action with tasks or assignments that will spur them to take little steps that will ultimately translate into the realization of their dreams of Internet entrepreneurship. Furthermore, he doesn’t offer his customers support for free. You’ll have to pay more than $14 per month to join his special group where you’ll have the support you need. However, if you’re savvy enough to fill in the gaps and implement his methods, you’ll see results, which is why the product is rated a D.
Having read this review, what do you think of Tony Shepherd’s Replace Your Salary training? Does it seem like something you can succeed with? Please share your honest thoughts with the community below. how the fuk do you make any money with your constat fkking pop up bs! I’m not worried about making money — I’m trying to help people. If annoying pop-ups are what it takes, then so be it.